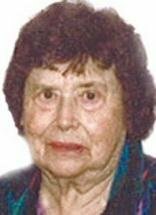 WATERLOO — Kathryn M. Bohan, 97, of Waterloo, died Sunday, Oct. 17, at Covenant Medical Center. She was born April 4, 1913, in Fairbank, daughter of Louis C. and Anna B. Haehn Smith. She married Gerald J. Bohan on Sept. 15, 1936, at Immaculate Conception Catholic Church, Fairbank. He died Oct. 23, 1982. Mrs. Bohan was employed at Waterloo Surgical Medical Group, in the insurance department, for many years. Survived by: three daughters, Dorothy Beard of Cedar Rapids, Loretta (Tom) Stroben of Visalia, Calif., and Monica (Jerry) Hestekin of Brookfield, Wis.; three sons, Dennis (Judy) of Arvada, Colo., Francis (Karen) of Waterloo and Emmett (Catherine) of Broomfield, Colo.; 15 grandchildren; 16 great-grandchildren; two great-great grandchildren; a sister, Marlys (Paul) Duffy of La Crosse, Wis.; and two brothers, Marvin Smith of Westminster, Colo., and George (Mildred) Smith of Waterloo. Preceded in death by: two sisters, Virginia Garvey and Thelma Liebe; three brothers, Donald, Harold and Francis Smith; and a granddaughter. Services: 10:30 a.m. Saturday at St. Edward’s Catholic Church, with burial in Mount Olivet Cemetery. Public visitation from 4 to 7 p.m. Friday at Hagarty-Waychoff-Grarup Funeral Service on West Ridgeway, where there will be a 6 p.m. vigil service. Visitation also an hour before services Saturday at the church.